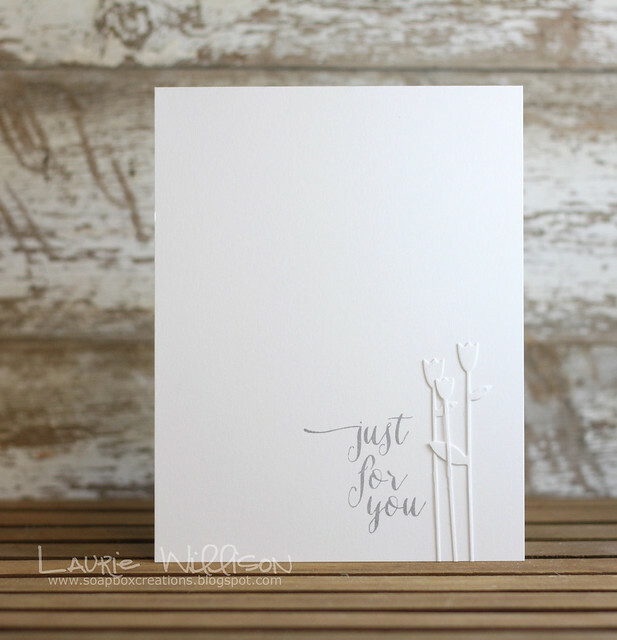 Have you seen the new Simon Says Stamp Release? It is so much fun and there are so many must haves. I have a favorite. Big time. Wanna see? This new set is called Summer Garden. It is full of flowers and sentiments. BUT...I adore this font. Yep...talkin' fonts again. You know I love new ones! I used a die called Tall Flowers for this very CAS card as well. I just cut the stems apart and attached them down using some Mono Liquid Tombow. Super CAS and super easy! To see the whole release, click HERE. There are lots of fun new sets and dies to see! I might have already ordered this set. LOVE the font! LOVE the font! Awesome CAS card! Have a great day! I talked myself out of these under the heading of "I can't have it all", but you've managed to put both right back on my wishlist! Charming little number today Laurie!! Laurie, I agree - that font is just gorgeous! Your card is gorgeous and the font so elegant I've seen all the new SSS releases and it just blew my mind I mean where do you begin it's all yummy! So pretty! 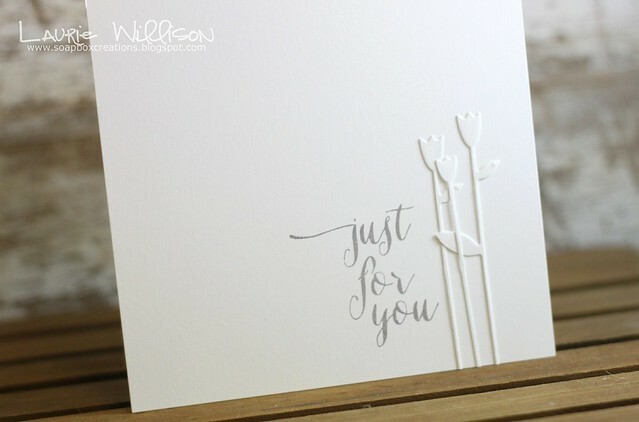 Love the look of the white die-cuts on the white background! And you are so right---that font is FABULOUS!!! !